The other day I was hanging out with one of my friends who isn’t a believer. She was talking to me about how annoyed she was by her Christoan boyfriend because he had texted her about how he was thinking about the song ‘One of Us’ by Joan Osborne. She told me she thought it was a boring somg. Oddly enough, even though she’s not a Christian, there are certain Christian songs that she likes. She once told me that she thinks ‘Oceans’ by Hillsong is a pretty song. That’s not the point, is it, though? We shouldn’t like Christian songs because they sound “pretty” and we shouldn’t not like Christian songs because they’re “boring.” The purpose of Christian music isn’t to sound pretty and poetic. Christian music is meant to convey a message. A message of God’s love, grace, mercy, forgiveness. When a Christian song comes on the radio, our first thought shouldn’t be, “Ooh, I like the piano in the background of this song.” It should be, “Ooh, I like the message in this song.” When we worship at church, we should be letting the message of the song speak to our hearts. I admit that I am sometimes guilty of liking and disliking Christian songs for the wrong reasons. Sometimes we’ll be singing a song we’ve sung countless times before and I’ll feel like I’ve gone numb to the meaning. I’ll hear the familiar intro and think, “Ugh, not this one again. We sing the bridge too many times on this song.” When I go into the song with that mindset, I miss the whole message. Maybe God wants to tell me something through the song, but I don’t hear it because I’ve distanced myself. On the other hand, sometimes I like a song so much that I miss the message. 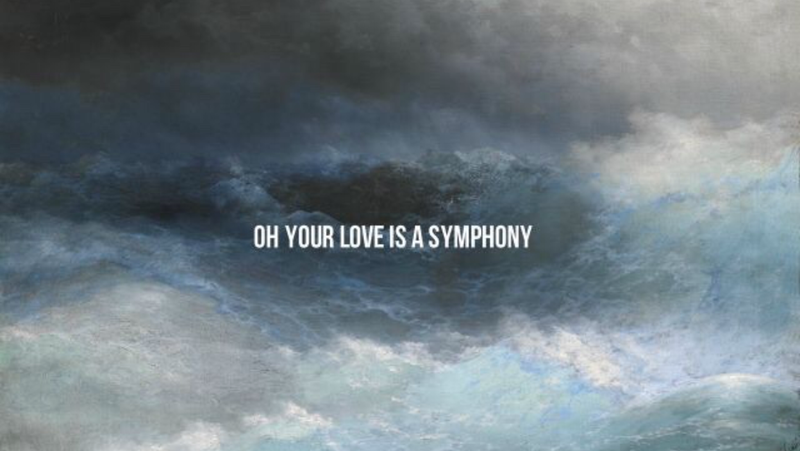 ‘Oceans’ used to be my favorite Christian song. When it was, I’d get excited when we’d sing it at church. I’d focus on singing it perfectly; hitting all the notes and remembering all the ‘whoa’s’ and ‘ooh’s.’ And, once the song was over, I’d forget about it. It wouldn’t leave a mark on me. Why? Because I didn’t let it. When we worship we shouldn’t focus on getting it over with or sounding good. We should focus on giving praise to our God who lavishes blessings upon us. We should focus on letting it speak to our hearts. If we focus on those things, then no song will be “boring” or “just pretty.” God doesn’t just hear your voice, He hears your heart. This entry was posted in Devotions.